Not videos or slide shows but brilliant animated lessons that make it fun and even addictive. Price £150 Price includs practice chart, online almanac and the online course. Includes practice navigation chart, Online or optional Practice almanac, Plotter and dividers. The online course covers everything from basics to tidal heighs, tidal streams, plotting courses to steer, plotting estimated position, safety and collision regulations. When sailing in foreign countries, the ICC is the proof you need to show a minimum qualification. conditions for both motor and sail. 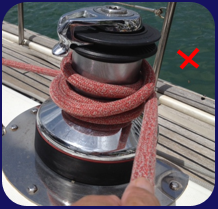 Man overboard recovery under motor and sail. Turning in a confined space under motor and sail. Students who complete this course with Navathome can take the upgrade to day Skipper option saving the expense of paying for the full Day Skipper course in one payment. Auto-help feature gives you instant help if your answers are incorrect. Instructors available from 0700 until 2000 hours seven days a week. Hint buttons make it easy to remember the steps required to answer questions and reach a successful conclusion. The animated lessons used in our courses are not matched in any other online course. They are designed to make learning interesting and questions easy. Assessment methods within the courses ensure student training is Evaluated, Validated and Recorded. Click to hide? To the best of our knowledge, thi information below is correct at the time of writing. Skippers should check the validity of their qualifications before entering the teritorial waters of a foreign country.
? Locals need the local licence. 15m Only valid up to 15metres. signifies not included by all other providers. Optional voice over gives you the choice. More info? Voice overs on videos and slide shows can get irritating, especially if you miss or do not remember something that has been said. We have solved this problem by using cross platform HTML5 animations and drawings with both text and optional voice over. You can choose what works best for you e.g. read and watch, read, listen and watch or just listen and watch as the step by step intuitive animated lessons take you towards your theory certificate. How it works All our animations have the explanation for each step in clear text so you can, not only read or check back through as many times as you like without having to rewind but, have the text narrated at the touch of a button. If you miss something that has been said it is still there in front of you in plain text, moreover, every animated lesson has click forward and back buttons for revision that take you back an exact step so you do not have to search back using an inaccurate slider bar. There no video lessons in our course. Click to hide? New animated lessons on berthing. Fourteen day opt out and refund on return of the training materials. Up to two years access to revision on completion. Enrolment lasts for three years. Chart sent out next post. Help via email, phone or Skype 7 days a week. Do your theory in the comfort of your own home. No pressure to keep up, work when you like in your own time. Six months free access with the option to extend. The course can be completed in as little as 40 hours. Navathome courses have evolved during fifteen years experience and continue to be both successful and ahead of the opposition in both learning techniques and the interactive animated diagrams used in the courses. We are so confident in our courses we offer a fourteen day opt out no matter what the reason. Simply return the theory pack undamaged and we will refund your course fees in full. Click to hide? 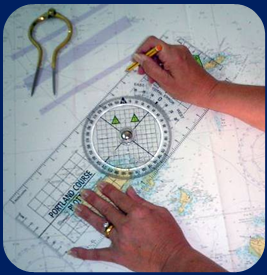 Discounts apply to Day Skipper, Coastal Yachtmaster and Ocean courses only. Automatic discount of 10% on two courses. Automatic discount of 15% on three or more courses. Courses for groups or individuals will qualify. Click to hide? To allow our students to revise we offer access to the course lessons for two years after completion. Left to right a highly qualified team to look after your needs. Vic Punch RYA Ocean Yachtmaster Instructor motor and sail Lynda Punch RYA Yachtmaster instructor motor and sail Georgina Wale RYA Yachtmaster Ocean Instructor Click to hide? Your assessment can be taken on line and in the comfort of your own home. Your results are provided instantly then followed up by feedback from your instructor. There is no frustrating waiting around to find out how you have done. Click to hide? Our instructors are fulltime. They do not go off sailing all summer but are employed to provide help and feedback for your course. Because there are three fulltime instructors our cover is from 0700 in the morning until 2000 in the evening and sometimes more. The Navathome.com suite of courses is professionally written by fully qualified RYA instructors with a background in e-learning and computer programming. If you would like more information please use the contact button on the top menu bar. We are always happy to have a chat about your current level and which course would be the best for you.